The textiles manufacturing have been a tradition in India since ancient times and its industry is well known in the global market for its premium quality goods. Trading with other countries like China, Africa and European Continent has become very common since many years and it is expanding every minute. Although, it was almost destroyed under the British rule, with the establishment of first textile mill at Fort Gloster in the year 1818 and from there, its new journey began. However, it’s actual rise began in the year of 1854 with the establishment of a new mill in Bombay. This mill was established by a Parsi cotton merchant. Later he started trading overseas which gave the Indian textiles the one needed thing: popularity. Certainly, the large section of the early mills was the handiwork of merchants who traded in yarn and cotton. In the year of 1861, the first cotton mill was established in Ahmedabad. Later, it emerged as a rival to Bombay and resulted in the spread of textile industry for the Gujrati merchant class. This industry grew rapidly and by the end of the nineteenth century, there were about 180 cotton mills in India. The face of this industry has not faded a bit in all these years, rather has come out much more clearly now. It is shaping not just itself, but also the future of the country. In the last five decades, The Indian Textile Industry has touched the new peaks in development and progress. It has become one of the main economic foundations of the country. Its market size is currently estimated at around the US $121 billion, is expected to reach billion US $154 billion by the year 2020. It is one of the two strongest pillars that are holding the Indian Economy and keeping it stable. The other one is, without any doubt, Agriculture. The Indian Textile Industry contributes approximately 5 percent to gross domestic product and 14 percent to an overall index of Industrial production. It shows the huge potential of this industry. The Indian Textile industry employs an eye-popping number of around 50 million people directly and approximately 71 million people indirectly. There are many levels of this industry from thread making to colouring, weaving, designing and stitching the garments. 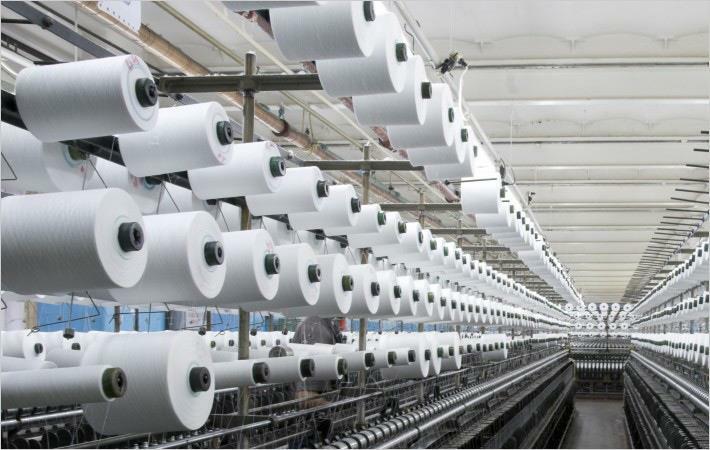 There are more than 1200 small and large mills textile mills in India. The smallest mills have the requirement of about 60 to 70 people and thus, the textile industry has a promising number of employment opportunities. There are several textile companies in India and some of the promising names are Raymonds, Vardhaman, Reliance Textiles, Arvind Mills, Bombay Dyeing, Grasim Industries, Oswal Knit India, Vaaho Industries PVT. LTD., Cordplus, Fabindia and many more. The approaching days for Indian Textile Industry are bright with promise, lifted by strong consumption and also the demand for export. With the rise in consumerism and disposable income, the retail sector has accomplished a rapid growth in the past decade. This growth is the byproduct of the entry of International names like H&M, GUESS, Marks and Spencer and U.S. Polo into the Indian market. Thus, the future of the industry is promising and bright. Newer Post Advantages of Velveteen Fabric Older Post Features that make Corduroy a favorite!